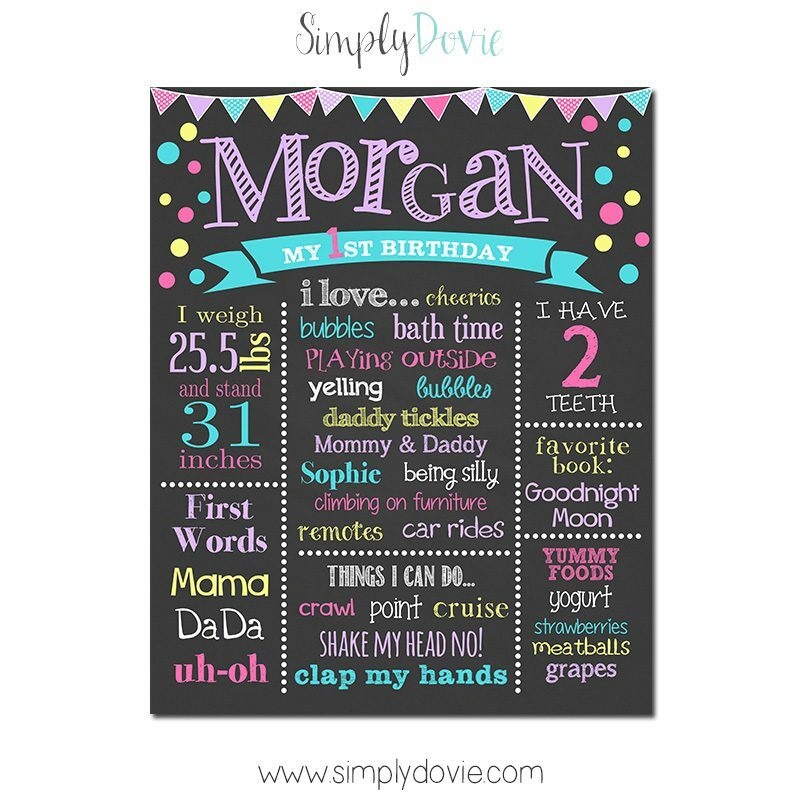 The Polka Dot First Birthday Chalkboard Sign is a great keepsake to remember your little ones first year! This design is unisex and will go perfectly with a confetti themed birthday party. The great thing about polka dots are they are versatile and can fit any birthday theme. 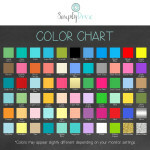 Personalize this birthday chalkboard sign with your child’s favorite things. 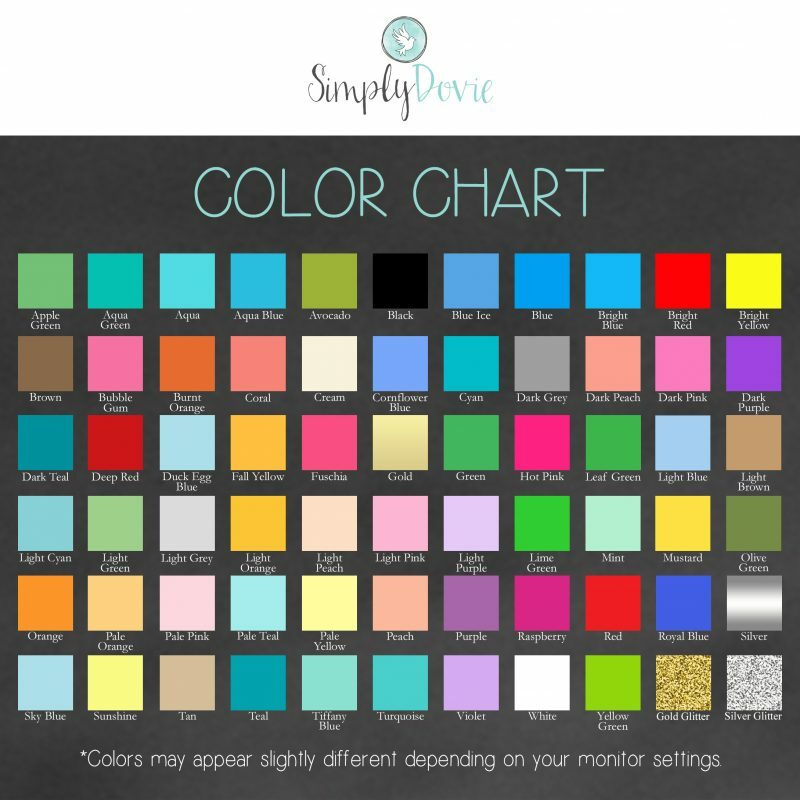 Available in digital file format for self printing or a print. 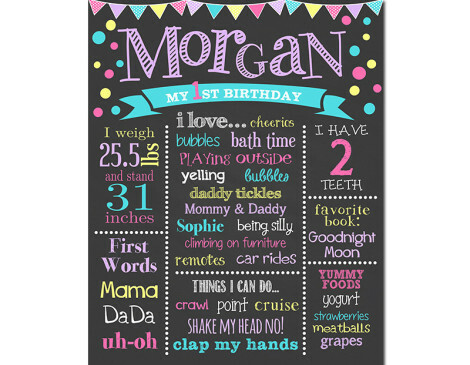 Our Polka Dot First Birthday Chalkboard sign is a custom product so it will be unique to your information that you provide. We may use different fonts or font sizing to best fit your information.